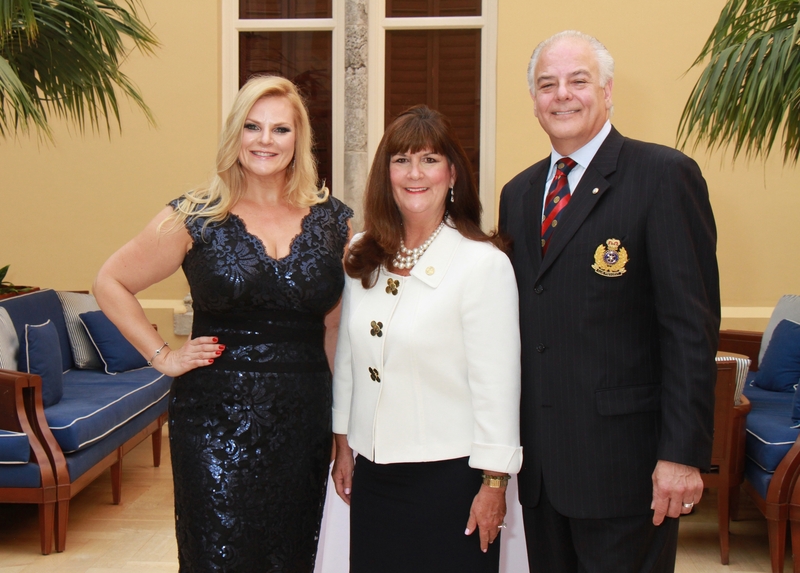 The Rotary Club Downtown Boca Raton recently held a pre-Mayors Ball reception at the Boca Raton Resort & Club for honorees and committee members to meet and learn about the details of the Inaugural Boca Raton Mayors Ball. Attendees included Boca Raton Mayor Susan Haynie, Deputy Mayor Robert Weinroth and CRA Director and City Council Member Scott Singer. Former Mayors in attendance included, the Honorable Susan Whelchel, Steven Abrams and Bill T. Smith, Jr. Also in attendance were Coach Howard Schnellenberger and Anthony Barbar on behalf of honorees Boca Raton Bowl as well as Connie Siskowski on behalf of American Association for Caregiving Youth. “This was a wonderful opportunity to have the Host Committee members meet the nominees and to generate excitement for this historic Inaugural Mayors Ball, said Jon Kaye, President of the Rotary Club Downtown Boca Raton and Co-chair for the Ball. “We are thrilled about the overwhelming positive response that we have received for this Inaugural event and our grant program to benefit community non-profits. The event has more than 30 tables pre-sold and we are looking forward to having Arlene Herson – noted television personality welcome everyone awards style on the red carpet,” Kaye added. Kari Oeltjen- Co-chair for the Ball added, “We are so pleased to be launching this event with the first George Long Awards. The “George Long Awards”, named for the City’s first appointed mayor in 1924 whose devotion to the Boca Raton was renowned, have been established and will be presented to an individual and an organization that have championed the tradition of bringing indelible visionary ideas to Boca Raton. The first George Long honorees are Barb Schmidt American Association for Caregiving Youth and Boca Raton Bowl.” “We really appreciate the partnership of Tiffany and Company in the design and sponsorship of the George Long Awards and JM Lexus for being the very first sponsor and showcasing one of the 500 rare Lexus LFA supercar two seaters at the ball”, said Kaye. To participate in this historic tribute to Boca Raton at the Broken Sound Club on Saturday, October 17, 2015 please visit www.rotarydowntownbocaraton.org or contact Deborah Freudenberg at 561-299-1429, or email info@rotarydowntownbocaraton.org. 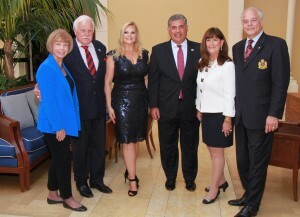 Recently named the 2014-2015 District 6930 ‘Rotary Club of the Year’, the Rotary Club Downtown Boca Raton is dedicated to impacting the Boca Raton community through Rotary International’s mission of “Service Above Self.” The award-winning 501(c)3 nonprofit’s purpose is to make a difference in its community by enhancing the lives of many in an environment which embraces and promotes integrity, friendship, camaraderie and trust. 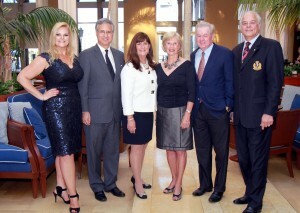 While the Mayors Ball will fund the Club’s grant program, the Club also presents the “Annual Honor Your Doctor Luncheon” (March 31, 2016) founded by Helen M. Babione and for 18 years has recognized physician leadership and excellence in healthcare while raising scholarship monies for nursing students at the Christine E. Lynn College of Nursing at Florida Atlantic University, Lynn University, Palm Beach State College and medical students at the Charles E. Schmidt College of Medicine at Florida Atlantic University. The Rotary Club Downtown Boca Raton is one of Rotary International’s 34,000 clubs in more than 200 countries that connect 1.2 million Rotarians with diverse cross-sections of thought and action, leaders and stakeholders, link diverse perspectives and build lasting relationships to take action in communities at home and around the globe.